It’s about that time of winter when I miss my beautiful summer tan. My pasty white skin is starting to make me sad. 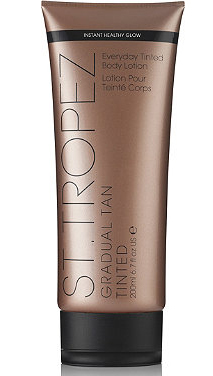 I opened my drawer to get out the St. Tropez Self Tan Express that I’ve been saving for this very moment. 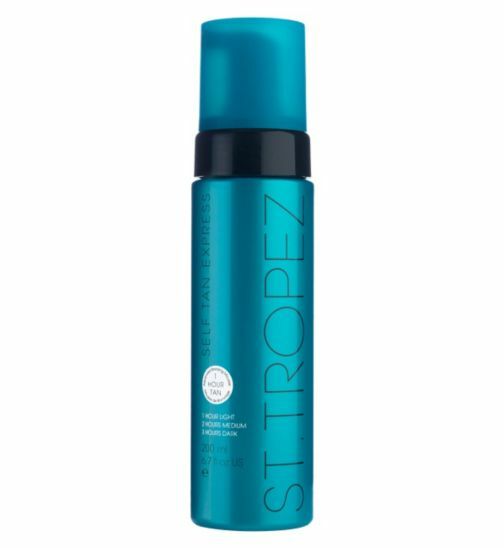 This new St. Tropez tanning mousse gives you a fast and easy tan at home in anywhere from one to three hours. The premise is that you spread it on, using your applicator mitt, then wait. A simple warm shower afterwards to rinse off the mousse is all you need. It should leave you with a gorgeous tan. It takes anywhere from one hour for a healthy glow to three hours for a dark tan. Since it’s the middle of winter, I thought it might be weird to just show up at work with a dark tan the next day. I opted for the light healthy glow. I applied the mousse exactly the same way that you would apply any home self-tanner. If you’ve never done it before, please don’t be scared! I know when you think. You are probably picturing those scary orange ladies who have gone mad at the tanning salon, but it’s not like that at all. Using the mitt and the mousse is so easy. You just moisturize and spread it on. It’s easy to get an even application. You really don’t need to worry about streaks. As long as you are sensible about it, you aren’t going to smear yourself all over with mousse. It’s so easy! Then you let it dry for a few seconds and get dressed! Spend the next hour (or three) going about your day as usual. Go grocery shopping, watch some Netflix, read a book, or whatever other activity you feel like doing. I wouldn’t recommend doing anything that would make you sweaty or going clothes shopping, but otherwise you can live your life like normal. Be sure to be near a shower within three hours though. You just have to hop in the shower and rinse it off within that time frame. I was pre-warned that even though it might not look very dark, the formula keeps working on your skin after you rinse it off. 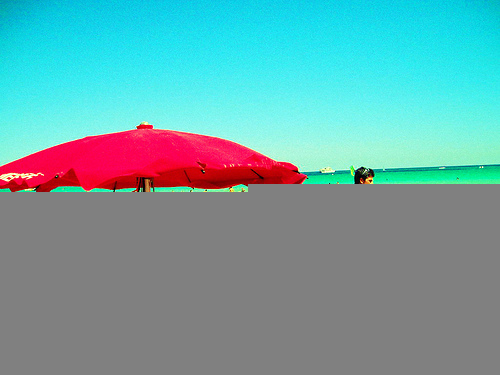 DON’T leave it on longer thinking it will give you an even better tan! Like I said, I chose to rinse after one hour. My skin afterwards wasn’t dark and tanned. It was just enough to get rid of that winter white. It made me feel healthy looking again. If I did it again, I might go a bit longer to get a tan instead of just a glow. It goes to show though that anyone can get the perfect colour for themselves at home. 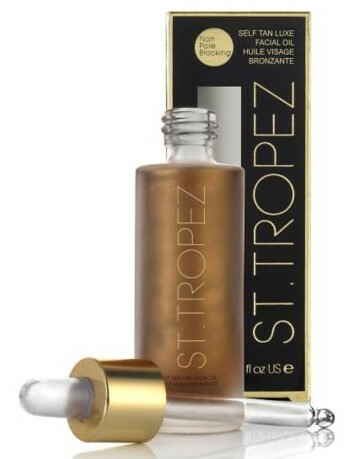 I was already a huge fan of St. Tropez, but now I can be excited to tell everyone not just how great it is, but also how easy!